You can manage anxiety and relieve stress in more ways than you realize. But apps simplify the process and make them doable. Ten in one-hundred teens and forty in one-hundred adults suffer from some form of anxiety issues, so we all need help. Our technology, family, work, society, and health breed stress and anxiety. 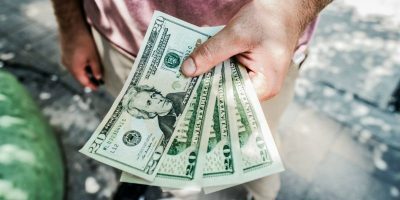 Forty-four percent of people who responded to a survey say their stress levels have increased. Stress levels have grown worse with each generation. Boomers, Generation Xers, and Millennials have stress levels of 4.3, 5.8, and 6.0 respectively. Now you have relief right at your fingertips. Personal Zen is free and available only on iOS. This app contains a series of games drawn from clinical research on methods used in lowering anxiety levels. 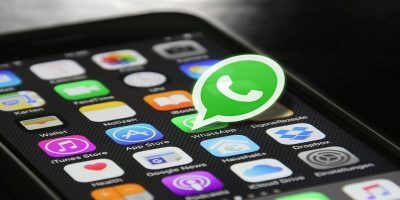 The app was developed by a professor of psychology and neurosciences using attention-bias modification training (ABMT), an emerging cognitive treatment for anxiety. 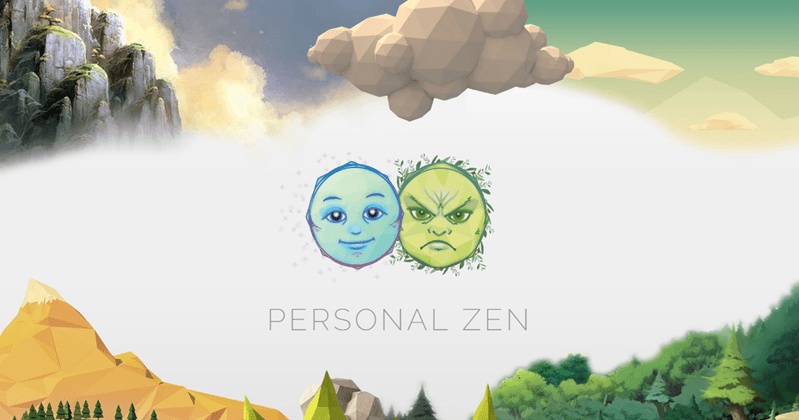 So if you want a gamified way of relieving your stress, Personal Zen is an app you want to try. The game design is simple. It starts with two faces – one angry and the other happy – drop to the ground in a garden. The happy face makes a grass trail you’d have to trace with your finger quickly. The game design makes you more attuned to look for the happy face and not the angry one, and the game has a soothing background music to go with it. 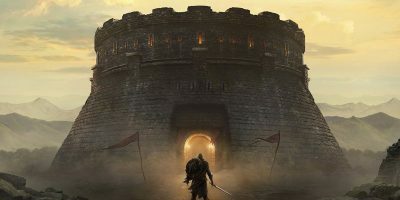 A study by the Clinical Psychological Science journal says you can start reaping the benefits of this game in only twenty-five minutes of play-time. 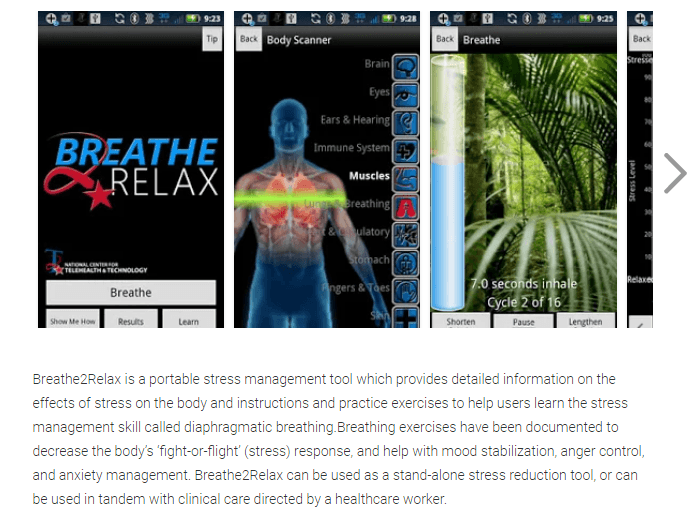 The Breathe2Relax app is a free app available for the iOS and Android platforms. This app draws from a documented stress-control method that involves exercises and instructions in diaphragmatic breathing. The Breath2Relax app also comes with details on the effects that stress has on the body. Focusing on and controlling your breathing can calm you down. Breathing from your stomach, technically called diaphragmatic breathing is a proven stress management technique. Breath2Relax was created for soldiers and their families, to teach them how to use stress-relieving techniques. When life gets in the way and leaves you feeling stressed, use this app to get the anxiety down a notch by practicing stress relieving techniques. This app brings out the soldier in you. GPS for the Soul is a free iOS app from emotional well-being advocates – Deepak Chopra and Arianna Huffington. The app uses biofeedback to help you find your stress level and then manage it using meditation tools. The tools include calming music and pictures. The app serves to connect you with your “guides.” Your guides are a combination of elements like breathing exercises, pictures of nature, yoga, music, and meditation. While the app offers you a variety of guides, you can create yours by uploading pictures and adding your quotes or music. Once you’ve uploaded and launched your guide, you can use a breathing pacer to measure your breathing. The app also comes with a feed to help you see what your friends are feeling and what’s working for them as well. GPS for the Soul enables you to put things in perspective and remember things you can be grateful for. 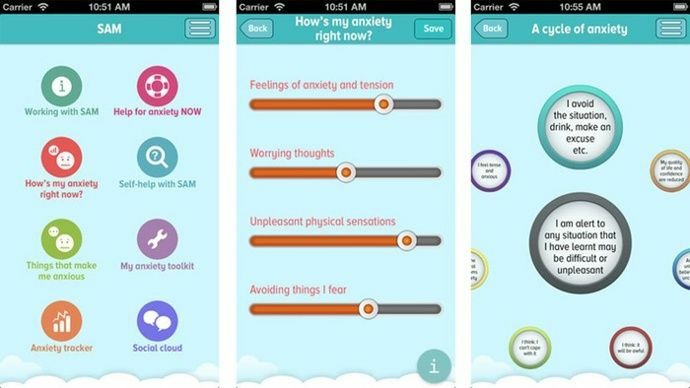 Self-Help Anxiety Management (or SAM) is available for free on the iOS and Android platforms. 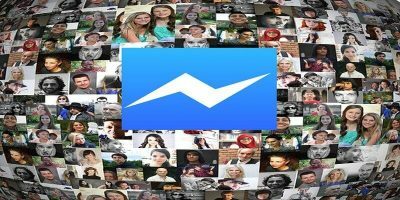 The app is a product from a university team of student users, psychologists, and computer scientists. SAM helps you figure out what’s causing your stress and then gives you steps to combat it. The app is a resource for information on anxiety and solutions you can use. SAM gives users both mental and physical relaxation techniques. The app also guides you putting the methods to work. With time, you’ll see your anxiety graph and you can self-monitor your progress. 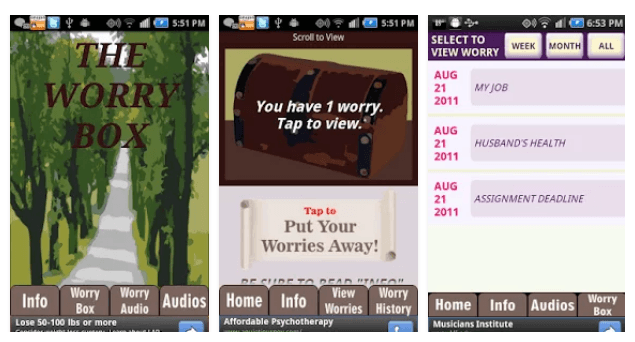 The Worry Box is an Android app that has an iOS alternative called Worry Watch. The app is free. The premise of this app is to put all your worries in a box and then leave them there. The Worry Box lets you vent out and record all your concerns into a virtual box. It’s a “letting go” process. The app then enables you to think the worries through. If the anxiety is controllable, the app guides you to come up with steps to manage it. If the stress isn’t controllable, The Worry Box helps you with a list of coping statements. 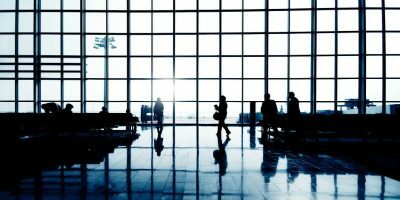 The statements would assist you in approaching the issue from a different perspective. 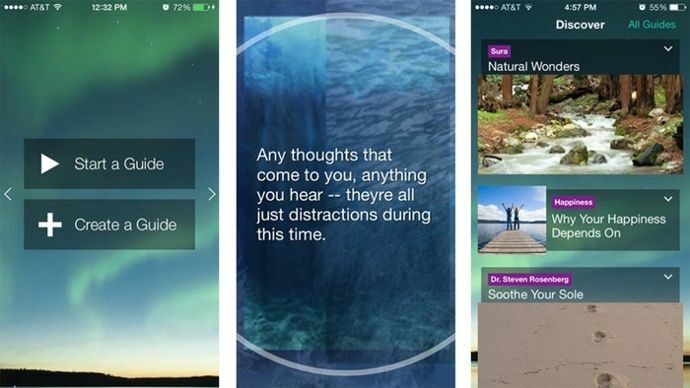 The app uses proven cognitive behavioral therapy techniques for relieving and controlling anxiety, depression, and stress. 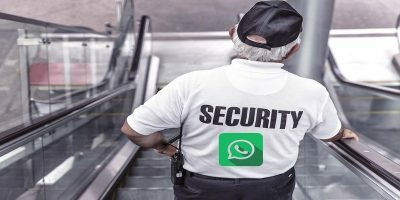 You might have noticed that each app is unique. If you love games you will go with Personal Zen, if you’re a lot more spiritual in your preference, then GPS for the Soul would soothe you. If you like processing your feelings then SAM would do. Breath2Relax is okay if an exercise would do it. Use The Worry Box if you’d rather vent the feelings first and then process it later. Let me know what you find to be the most useful. 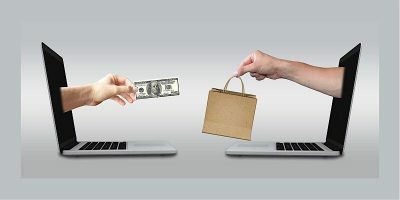 Leave a comment below, and click “Yes” if you found this post helpful.